The strict diet the French Government is being forced to go on has not yet reached London. 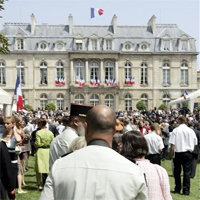 The Garden Party organised at the French Ambassador’s Residence for Bastille Day took place as planned. 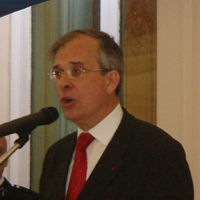 The Ambassador, Maurice Gourdault-Montagne, explained his decision to go ahead with the event by pointing out that this was an annual get together at which French and British guests were happy to meet to celebrate Bastille day, and justified the cost by saying that, traditionally, most of them have been covered by sponsors. For many years now, the French Embassy in the UK, has been accepting sponsorship, from companies such as Pernod-Ricard et Ladurée for instance, and thus has no reason to cancel an event which gives the opportunity to French Nationals living abroad to get together and that also enables them to meet potential British business partners…Occasionally, they also take this opportunity to sing the Marseillaise together (the French Anthem) something that many were happy to do last night without too much encouragement. In contrast, following the announcement of France's new government cuts, French President Nicolas Sarkozy decided to lead by example and cancelled the traditional Elysée Garden Party. This saving is, of course, merely symbolic. Last year, the Elysée Garden Party cost 732,826 euros. A drop in the ocean would you say? Naturally, but it would have been very poor taste to party when so many others are tightening their belts. Nicolas Sarkozy therefore preferred to pre-empt any criticism by cancelling the reception altogether. Did you think that the British Government was the only one to have been in turmoil and involved in outright scandals? Well you’re wrong! France has certainly had its fair share. Lately, the French media have been feasting on scandal! First of all, Rama Yade, the sports junior minister, made open remarks about ‘Les Bleus’ spending too much (589 euros/nuit ) on their hotel bills whilst in South Africa for the World Cup. 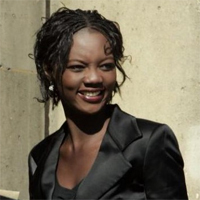 A few days later, Rama Yade and her team were booking into an even more expensive hotel (667 euros per night). It is worth noting at this stage that the French Team costs were covered by the FFF, whereas Rama Yade and her team’s expenses were paid for by tax payers money. 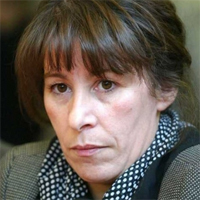 Fadela Amara, another junior minister, was also involved in a scandal: the all expenses paid apartment that she enjoys as part of her job seems to have been more for her family's benefit than her own. Last but not least, Alain Joyandet, yet another minister, appears to have received an illegal planning permission which allowed him to increase the size of his house in Grimaud, near St Tropez. Strangely, he has since refused to go ahead with the building work. And the least goes on. All these scandal snippets put together are evidence that some government officials are enjoying certain advantages which put the French President in a very uncomfortable position when his men are trying to impose some major life changes to the French electorate. It is therefore critical for the government to be seen to be going on a diet: no more canapés nor champagne! If one wants to celebrate, it will have to be after the economic crisis or maybe they could take a look at how it's done in London where France's representatives have learnt to use the promotional budgets of their commercial contacts rather than spending the government’s.